Still image from Agi B. 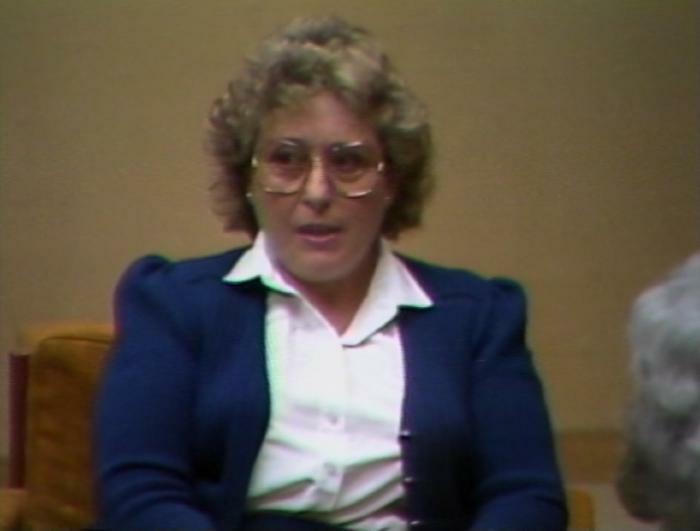 Holocaust testimony, March 14, 1984. SynopsisAgatha B. was born in Budapest, Hungary in 1932. She describes her family as very close and happy. Her father had a hosiery business. She attended an English elementary school for four years and attended extra religious classes. She recalls the German occupation in March of 1944. Her father was taken to a deportation camp. She moved with her mother and sister into a building designated for Jews with another family. Her mother was later taken to a deportation camp. Agatha recalls living with her sister, aunt, and neighbours in the apartment building. She describes refusing to convert to Catholicism or leaving their home out of fear her parents would be unable to find her again. She describes a mass killing, which included her aunt. Her parents escaped forced labour camps and returned to Budapest in September 1944. The family went into hiding. She discusses changes in her parents. Agatha’s family received Swedish visas [schutzpasses] and moved into a safe house. She recalls assistance from a German official, which saved her family from deportation. She describes liberation by Soviet troops. In 1946, she fled to Austria with her mother and sister. She discusses her father’s experience doing business in Hungary. She recalls her marriage in 1956 and leaving Hungary again to move to Canada. She discusses her continuing fears and sharing her story with her children.